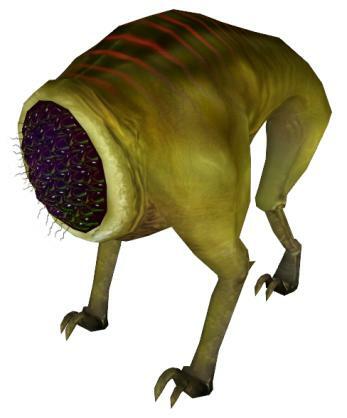 The Houndeye (Work In Progress) is a tripedal creature from the alien world Xen as seen in the video game "Half-Life". Its most prominent feature is a single, gigantic compound eye. 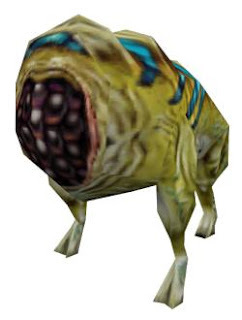 The Houndeye, or "sound dog", hunts in packs, utilizing a sonic attack to paralyze and kill by disrupting the internal organs of its prey. While shy and timid alone, they are extremely dangerous in groups. This puppy gives "house-broken" a whole new meaning! Too skinny! Needs bulking up. All pumped up and no place to go. You may be wondering how I'm going to construct the eye; that's a post for another day! Wow, Bruce! This is awesome! I can't wait to see it completed.